Fletcher has been brought on board as Business Development Manager to bolster the experienced management team. He will also engage with the rapidly growing list of customers that are choosing to use the Made for Trade suite of products. Timing is key with the FIT Show on the horizon and the unveiling of something new. Going forward, his appointment will help ensure the successful roll out of all MFT products. However, customer support and guidance will be crucial as Made for Trade continue to invest in research a nd design of new systems. MFT are also preparing to move part of the business to a new premises at the prestigious Wynyard Business Park which boasts 110000 sq ft of manufacturing space as well as purpose built offices. With over 20 years business to business experience in national sales roles, Fletcher brings a wealth of experience to the position. Alongside supporting the Made for Trade team at this year’s FIT Show, his immediate goals will be on the road visiting existing clients and offering support to reaffirm the brands USP’s. He will also be on hand to provide training for our online estimator KwikQuote if requested. 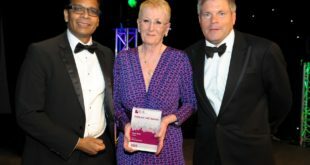 The first area for Fletcher is the Midlands – Existing customer support, retention and growth. If you’re new to Made for Trade’s Korniche and you want to know more, he is more than happy to pay you a visit. 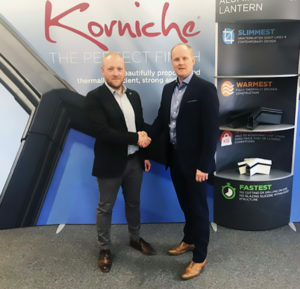 He can then demonstrate how the award winning Korniche roof lantern and other products can help you to grow your aluminium sales and beat your competition.